Assorted Ecocare International Wedding Gift Bags, Size/Dimension: 12"*8"*3"
With our in-depth knowledge of this domain, we are actively engaged in manufacturing an excellent quality range of Gift Bag. - Approximate Length: 23.5 cm, Breadth: 17 cm, Height: 15 cm. - Approximate Net Weight: 80 gm. We offer a rich and varied array of handmade paper gift bags that come in a variety of patterns like embroidery and kundan work with matching gift tags and cords. These are designed from a variety of colors with different sizes and shapes. These are mostly used for gift enclosures and have been largely accepted by people as an attractive and eco-friendly replacement of polyethylene gift bags. 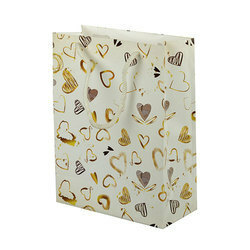 We are a leading Manufacturer and Supplier of a compelling range of Gift Bags in the market. These Gift Bags cater to different requirements of the clients. Our range of Gift Bags is in sync with the latest trends. These are available in several sizes and patterns. We offer you our range of Gift Bags at highly reasonable prices. 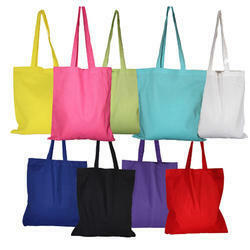 Diwali Gifting Bags With Color Handles, Size/Dimension: 14"x16"